Copyright - © & ™ Lucasfilm Ltd.
SPECIAL OFFER £150.00 - SAVING £99.95!! In the exciting highly-anticipated film, Star Wars: The Force Awakens, the First Order has enlisted Stormtroopers equipped with sleek armor and powerful weapons to enforce its will across the galaxy. Sideshow Collectibles and Hot Toys are delighted to expand the First Order army once again and officially present the new First Order Stormtrooper Officer Sixth Scale Collectible Figure. The highly-accurate collectible figure is specially crafted based on the image of the First Order Stormtrooper Officer in Star Wars: The Force Awakens and features the sleekly designed Stormtrooper armor and helmet, the red pauldron that indicates the rank of officer and highly detailed blaster rifle with extended stock, a blaster pistol, and a hexagonal figure stand with the First Order's emblem! Add this First Order Stormtrooper Officer to your growing army today! SPECIAL PRICE £150.00 Saving £100.00!! Following the official introduction of the first wave of Hot Toys' Star Wars: The Force Awakenscollectible figures, featuring the enigmatic Kylo Ren and the First Order Stormtroopers, Sideshow Collectibles and Hot Toys are excited to unveil the highly detailed First Order Snowtrooper sixth scale collectible figure! The latest generation of cold weather assault Snowtroopers is equipped with completely redesigned advanced insulated armor and helmets that can reduce the glare of icy terrain when carrying out the First Order's missions in extreme climates. The highly-accurate Star Wars collectible figure is specially crafted based on the image of a First Order Snowtrooper in Star Wars: The Force Awakens and features the freshly designed Snowtrooper helmet and armor, a finely sculpted backpack, meticulously tailored coat and under-suit, detailed blaster rifle with extended stock, and a specially designed hexagonal figure stand with the First Order's emblem! Expand your First Order army with the new First Order Snowtrooper! The First Order has enlisted a wide range of troops to carry out its will across the galaxy in the upcoming Star Wars: The Force Awakens. Following the reveal of the First Order Snowtrooper, Hot Toys are continuing to expand the First Order army and are delighted to officially present the newly designed First Order TIE Pilot sixth scale collectible figure from the highly anticipated movie! The skilled pilots of the First Order launch into combat aboard advanced fighter crafts to hunt down enemy vessels and protect space around First Order installations and warships. 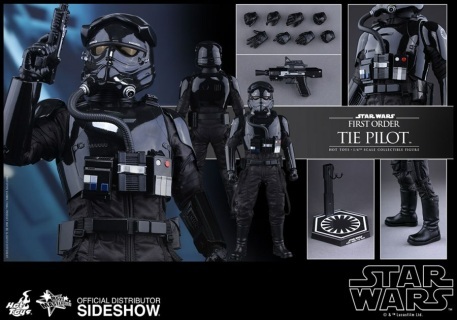 The highly-accurate collectible figure is specially crafted based on the image of First Order TIE Pilot in Star Wars: The Force Awakens. 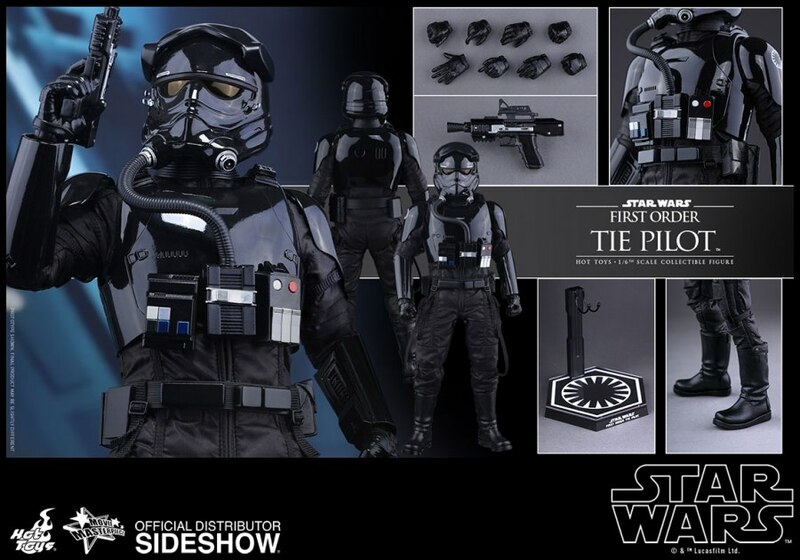 It features a newly designed glossy black TIE Pilot helmet and armor with life support system, meticulously tailored flight suit, detailed blaster pistol, and a hexagonal figure stand with the First Order’s emblem! Hot Toys Rey and BB-8 Sixth Scale Figure by Hot Toys Movie Masterpiece Series 902612. 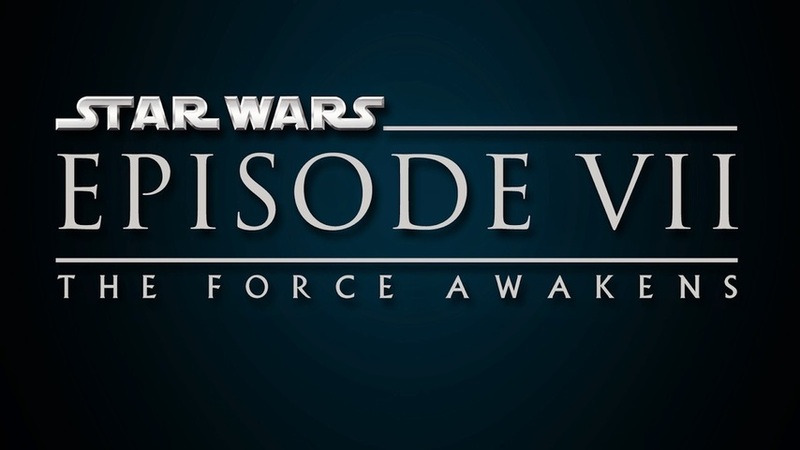 Star Wars: The Force Awakens is here! Featuring a cast of new and familiar faces, the epic sequel takes Star Wars fans on a very exciting journey in a galaxy far, far away! Sideshow Collectibles and Hot Toys are very thrilled to officially present a special sixth scale Star Wars collectible set of Rey and the lovable droid BB-8! The highly-accurate Rey collectible figure is specially crafted based on the image of Daisy Ridley in the film featuring a newly developed head sculpt with fine hair sculpture, three interchangeable looks, meticulously tailored outfit, a lightsaber, highly detailed accessories, and a hexagonal figure stand with the Resistance’s emblem. The highly accurate BB-8 collectible is specially crafted on the image of the uniquely designed droid in Star Wars: The Force Awakens. BB-8 features a newly developed spherical body embedded with self-balancing mechanisms, LED light-up eyes, and a specially designed Jakku desert-themed figure base attachable to Rey’s hexagonal figure stand.